This is hard for me to write. 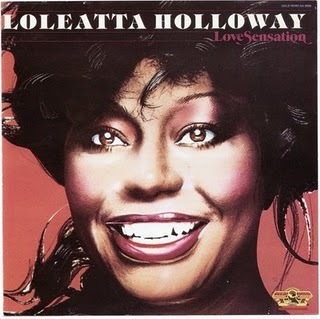 Loteatta Hollaway was like a Big Sister to me. I learned a lot from her when I first started out singing and making my way in the recording industry as a young pup. I will never forget the stories she told me about her trials and tribulations as a disco singer and the drama that went on at Studio 54 back in the day. It was like a movie. I had the honor to hang out with her backstage at the ‘Paradise Garage’. She was scheduled to go on around 4am and I had the pleasure of meeting Mary Wilson that night also. Did the walk with her to the stage and partied with everyone. It was just wondeful. I must say that girlfriend was one of the most powerful voices in the world. You felt every note she sang and she had that gospel thang going on big time. 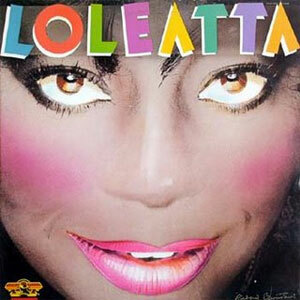 Loleatta girl, I love you and miss you. I was praying that we would get another chance to hang out, to laugh, cry and that I would get some more good advice about the industry; but you are gone. I will miss you and I love you my big sista. You were a powerhouse of a voice and a powerhouse of a woman. The world is a much better place because of the wonderful music you made and the memories that it brings to us all. May you rest in peace!! Love you always!!! This entry was posted in Loleatta Holloway and tagged culture, Disco, entertainment, Loleatta Holloway, music. Bookmark the permalink.